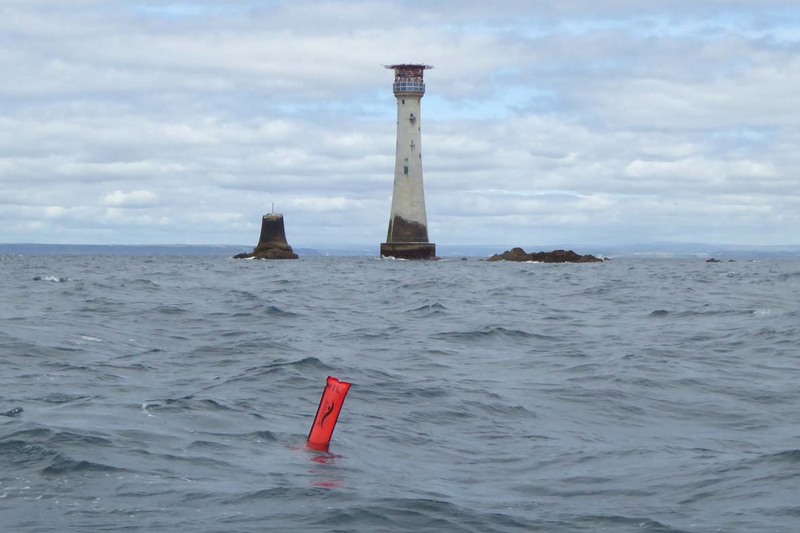 We dived the reef around the Eddystone lighthouse, the vis was OK about 5 plus metres. The cloudy white in the water may be the kelp rotting. It was very warm which may explain why there was no monsters walking about or indeed much else. The inshore water was calm so tomorrow’s dive will be good. The sea at the light was OK but lumpy on the way back, so we put an old sea dog on the helm no problem.